Written by Travel Excellence The beautiful country of Costa Rica with their mountains, beaches and breathtaking landscapes celebrates their 190 years of independence on September 15th, the most value day of the costa rica history. Part of the costa rica attractions in a day like this is that the visitors get to watch the parade where many schools play their best songs while marching through the streets. "Being independent is learning what it means to live with others, if I want to respect my freedom; I have to respect the freedom of others", said Leonardo Garnier, the Costa Rican minister of education. The costa rica government is looking to implement a new learning system where the student doesn’t have to learn history the traditional and boring way, instead they want to make it more dynamic, easy and more fun for the apprentices. "I think students are tired of having to learn things the same old way every single year”, said historian Matilde Cerdas. History tells Costa Rica was officially independent on September 15th 1821 but the letter that said so actually arrived to the costa rica population on October 29th, that same year. Costa Rica, along with the rest of Central America, were dominated by the Spanish people who were the first one to arrived to this new land a long time ago. From day one of the Costa Rican independence the first state chief was Juan Mora Fernandez. The Costa Rican flag was inspired by the France flag but it was made several yeas after the independence, most precisely in 1848 when Ms. Pacifica Fernandez Oreamuno, married to the then state Chief José María Castro Madriz. 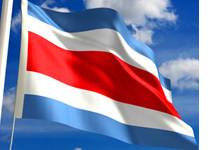 The blue of the flag is because of the sky; the white is for the peace and the red color symbolize the hard working people that live in Costa Rica. Remember, this is a beautiful country with a lot of history to learn but also you can find the best costa rica travel packages to enjoy everything this heavenly nation has to offer.